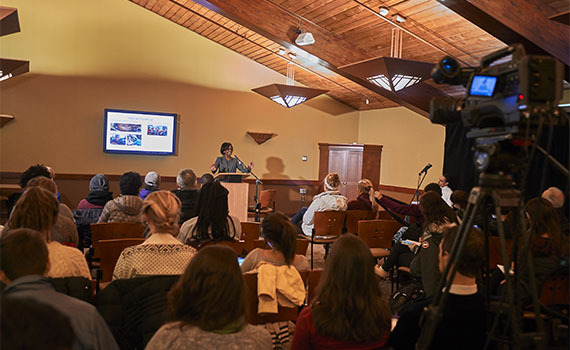 C-Span2 Book TV will air this weekend a recent presentation by Colgate Associate Professor of Political Science Nina M. Moore in which she discusses her new book, The Political Roots of Racial Tracking in American Criminal Justice. In Moore’s new book, she explains how examination of more than 100 publicly available crime statistics reveals a nuanced picture of racial injustice, not simply at the hands of unequal policing at the street level, but due to a more complicated dynamic resulting from misguided laws supported by both Democrats and Republicans. 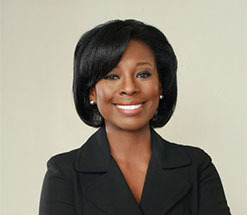 Moore, who describes herself as politically right of center, examines the role of the media in shaping public perceptions related to crime, urges the U.S. Supreme Court to become more involved in addressing racial bias in existing laws, critiques the War on Drugs, and encourages black voters to challenge their political representation and to not vote in a block for Democrats at any cost. One of the Princeton Review’s best 300 professors in the United States, Moore’s teaching and research focuses on racial inequality, public policy, and governance processes, and she served on the New York State Commission on Judicial Conduct from 2009 to 2013.